Columbia Pictures got off the ground when brothers Jack and Harry Cohn, and Joe Brandt founded Cohn-Brandt-Cohn Film Sales in 1919; it was 1924 before the company took on the Columbia name. Animation first came to the studio when Columbia began distributing Mickey Mouse and other shorts from The Walt Disney Studios. Animation finally came to Columbia in 1934 when the studio formed up its own animation studio, though the studio had been making Krazy Kat shorts prior to the formation of the animation department. Many popular series came out of the studio, including the long-running A Color Rhapsody series. As the thirties ended, so did the multi-studio series Krazy Kat. New stars like The Fox and Crow and a short stab at comics characters like Lil' Abner ran through the forties, but Columbia never had the hit cartoons like Disney, Warner or even MGM. The late forties saw Columbia take up distribution of animation upstart United Productions of America, or UPA. By the fifties, Columbia closed its animation studios and contracted UPA to produce animated shorts for the studio. In 1957, after its parent company Columbia dropped UPA, their television arm Screen Gems entered a distribution deal with Hanna-Barbera Productions, the studio which was pioneering and defining animation for the small screen. Screen Gems would distribute Hanna-Barbera cartoons until 1967, when Hanna-Barbera was sold to Taft Broadcasting. From here, animation took a decades long hiatus from Columbia Pictures. 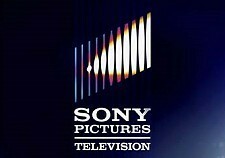 When the Japanese entertainment conglomerate Sony bought Columbia in 1989, it took them another ten years to bring animation back to the studio, under the Sony moniker. 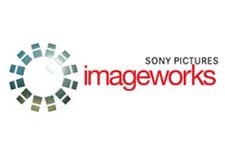 Sony Pictures Imageworks grew out of the computer digital effects division of Sony Pictures, and and it and parent Sony Pictures Animation now produce fully computer generated animated films. Columbia Pictures is based in Culver City, California. 1.6/5 Stars from 8 users. 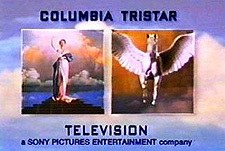 Please give the Cartoon Series Columbia Pictures a vote between 1 and five stars, with five stars being the best, 1 being a show you absolutely hate, and a three for an average show. This Studio has been viewed 3 times this month, and 155,864 times total. Columbia Pictures (Sony Pictures) Studio Directory -Alternate: Sony Pictures by Big Cartoon DataBase is licensed under a Creative Commons Attribution-NonCommercial-ShareAlike 4.0 International License.